Bring this original artwork by Jan Kirstein to life with a print on the texture and depth of a stretched canvas. Your image gets printed on a premium glossy canvas and then stretched on a wooden frame of 1.5" x 1.5" stretcher bars measuring 40" x 30." All stretched canvases ship within one business day and arrive "ready to hang" with pre-attached hanging wire, mounting hooks, and nails. Fine Art America is the world's fastest growing online community for living artists. The promotional print is made available in limited quantities and for a limited time at a substantially reduced price. The goal is to put museum-quality works of art into the hands of art collectors all over the world and, in doing so, build awareness of beautiful artwork being produced by the Fine Art America artist community. When you purchase prints from Fine Art America, the proceeds go directly to the artist - you're supporting a community of living artists all over the world! If you're not happy with a purchase that you made on Kirsteinfineart through Fine Art America, for any reason, you can return it to Fine Art America within 30 days of the order date. 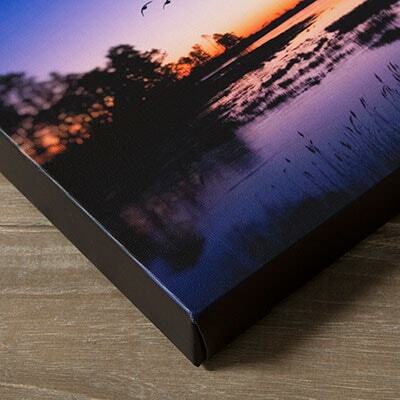 As soon as the print arrives at Fine Art America they will issue a full refund for the entire purchase price, including the outgoing shipping charge. Please note - Fine Art America does not reimburse the return shipping charge unless the return is due to a defect in quality. Kirsteinfineart will facilitate this process by helping you acquiring the proper shipping address information.